Okay yes, I'm posting another carrot cake recipe. But that's okay.... you know why? 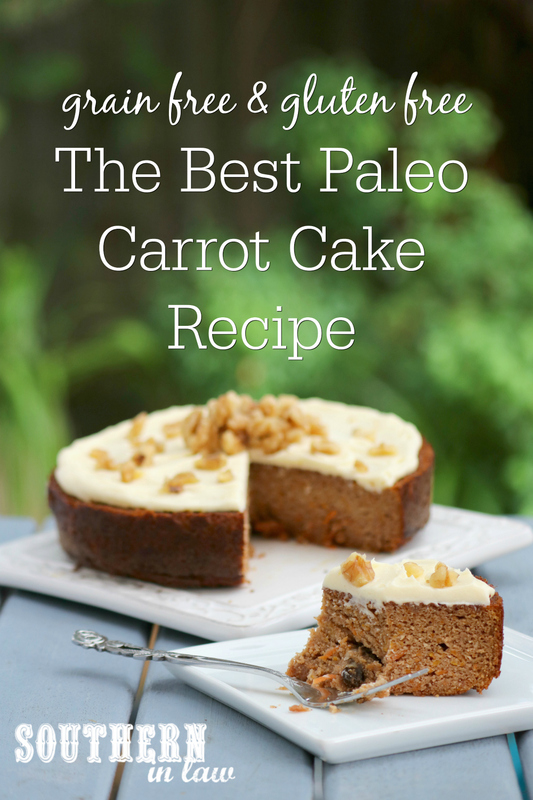 Because Easter is coming and that's pretty much the ultimate excuse to make all the carrot cake-y things in the world. Usually I don't make whole cakes unless we're having people over because it just feels like a waste, however, last week I decided I needed to retest this recipe once again to share with you (truth: I may retest my recipes so many times before posting them solely because it means I get to eat them) and let me tell you, it totally changed my mind on the whole not-making-cakes-unless-we-have-company deal. Because in our house, cake doesn't get wasted. Especially when said cake is as delicious as this one. This Carrot Cake was completely devoured in two days. It never even had a chance of going to waste after we tasted the first slice. 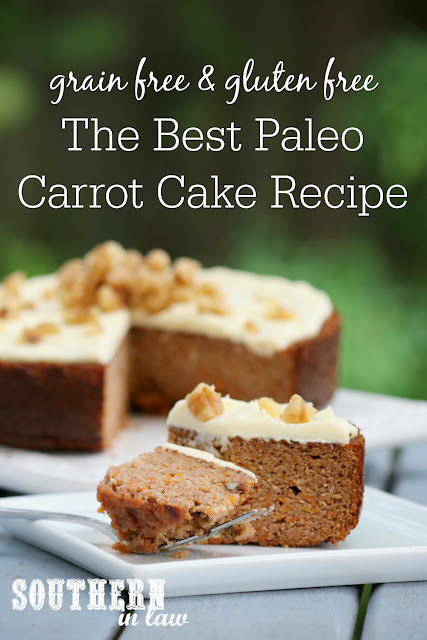 It's moist and full of flavour and well... cream cheese frosting can do no wrongs in my books. Best of all? 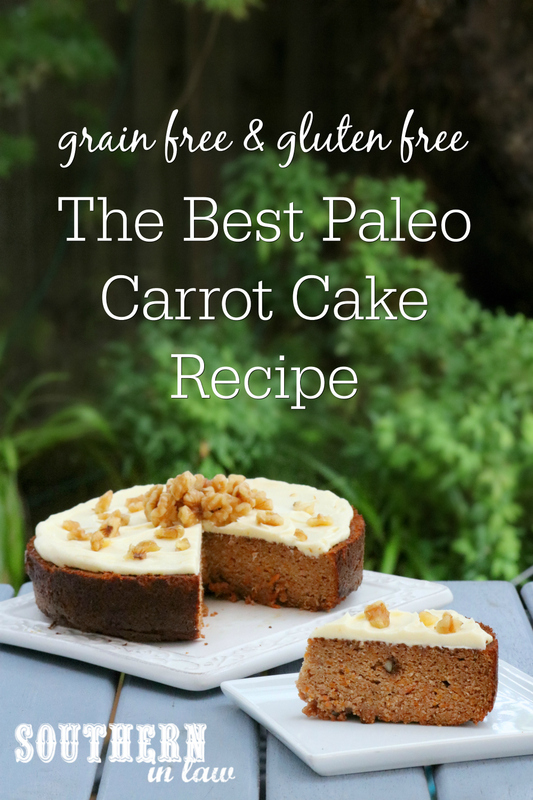 It's super simple to make - and paleo friendly! 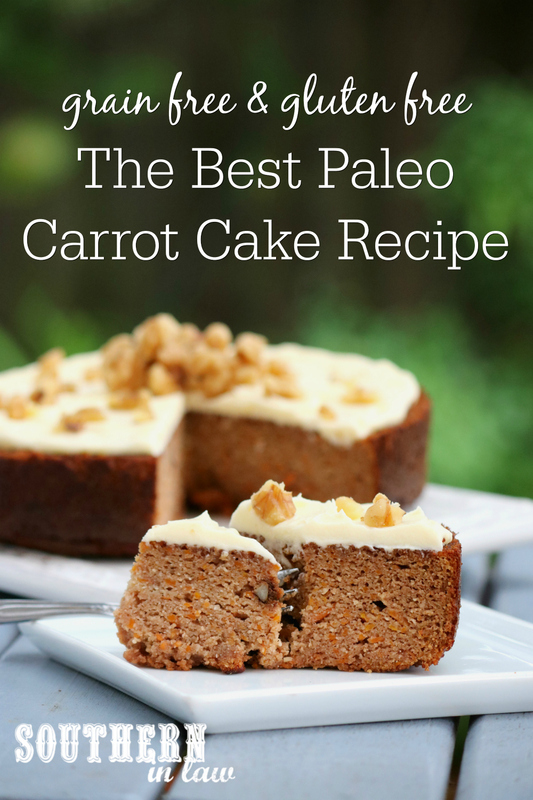 Just choose the paleo "cream cheese" frosting route and you're a certified caveman. Well... if cavemen had ovens and baking dishes... which they should have because no one deserves to miss out on cake. Grease and line an 8" cake tin and set aside. In a medium mixing bowl, combine your carrot, honey (or maple syrup), vanilla, melted butter/coconut oil, applesauce and eggs. Mix in your coconut flour, baking soda, cinnamon, almond meal and walnuts and allow to sit for two minutes. The mix will look really runny at first, but the coconut flour will soon absorb the liquid and form a thicker batter. Pour your carrot cake mixture into your prepared tin and bake for 30-40 minutes (keep an eye on it - cooking times will depend on your pan size) or until your cake is cooked through and a skewer inserted into the middle removes clean. If your cake is browning too quickly but isn't cooked in the middle, cover it with foil. I usually cover mine at the 30 minute mark and continue baking for another 10 minutes or until cooked through. You may want to double this! Cream your butter until light and fluffy. Add 2 tbsp of your icing sugar and your cream cheese and beat until smooth and combined. Add the rest of your icing sugar, beating until fluffy. Spread your frosting over the top of your cake and decorate with crushed walnuts. Serve immediately or chill in the fridge to slice and enjoy as you like. Drain your cashews and add them to your clean food processor bowl and process until finely chopped. Add your coconut oil, maple syrup, vanilla and salt and process until smooth. Pour your topping mixture over the top of your cake, smoothing with a knife and topping with crushed walnuts. Chill your cake in the fridge until the frosting is set. Serve cold or keep the cake in the fridge to slice and enjoy as you like. *If you like your baked goods really sweet, increase this to 1/3 cup. You can also use equal amounts of maple syrup. But tell me, what's your all time favourite kind of cake? And what's the last piece of cake you ate?